This product is composed of fixing paster, absorbent pad, fixing plate and latch fastener. This product is mainly used for fixing drainage tube on patients’ skin after surgery, in order to prevent drainage tube from sliding. 1. 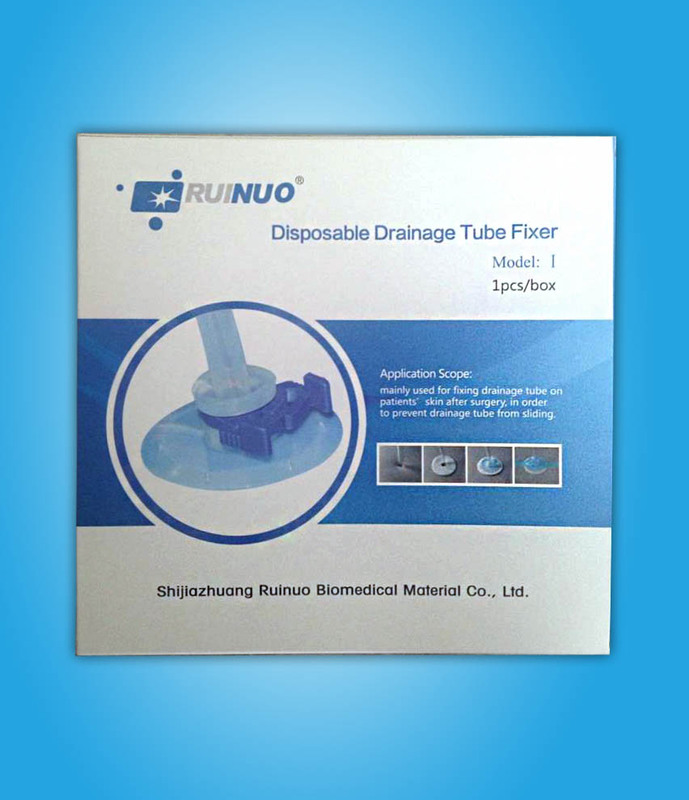 According to the outer diameter of drainage tube which needs to be fixed, select the appropriate specifications. 2. Open the package; take out all the components, then set drainage tube into tube fixer, insert the drainage tube where drainage is needed. 3. Inset absorbent pad around the drainage tube; Close to the skin of patients on the drainage position. 4. Put the fixing plate and latch fastener to the drainage position of skin. 5. Put the fixing paste around the drainage tube according to the cut of the fixing paste, and cover the fixing plate. 6. Fix and adjust the tightness of latch fastener to fix the drainage tube. 7. After use, open the latch fastener to remove the product. 8. It is a sterile product, only for single use.